Home Bubble Diaries Has Bollywood changed its attitude towards married actresses? India is the world’s largest democracy and we Indians believe in every ritual and tradition, don’t we? Bollywood is one of the biggest industries in India when it comes to Entertainment and it pretty much reflects our Indian culture. Even, in the 21st century India, most important thing for a woman is to get married and produce kids. Even though times are changing and women are becoming progressive, aspirational and modern, the thought of settling down is a major factor in a female individual’s life. In Bollywood, we all know it’s not a level playing field (times are changing though) and actors still call all the shots. Actresses, no matter how good they are, have a shelf period and after that, they stop getting meaty roles and fade into early retirement. Actresses also get married like the rest of us and it puts them in a very tricky position. But, over the last 10-15 years, things are starting to change and actresses are no longer treated as second class citizens after their marriage. In recent past, we had Anushka Sharma getting married to Indian cricket captain Virat Kohli and Sonam Kapoor tying the knot with Anand Ahuja. Now, pretty soon we will see Deepika Padukone starting her family with Ranveer Singh and Priyanka Chopra marrying Nick Jonas. In all of the above examples, one thing is common that all these actresses are getting married at the peak of their careers and it will have no impact in their professional career. Why restrict this exercise to these four actresses? We also have Aishwarya Rai Bachchan, Kajol, Vidya Balan, Rani Mukerji, Madhuri Dixit, Kareena Kapoor Khan still contributing towards cinema and proving that whether a person is married or not makes very little difference. 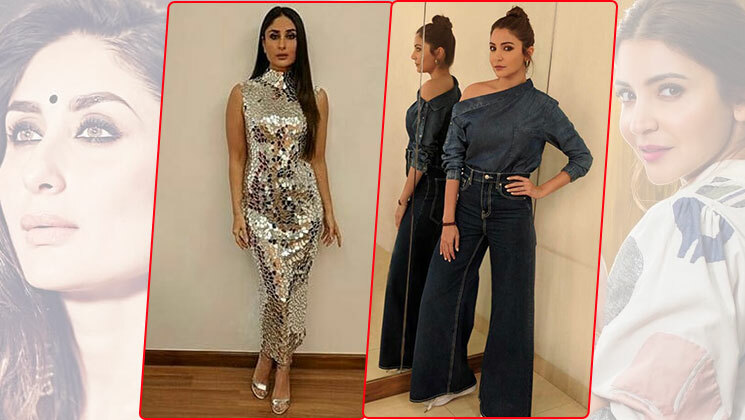 In recent times, Kareena had one of the biggest hits of her career in ‘Veere Di Wedding’ and Rani Mukerji’s ‘Hichki’ had also done a splendid job at the box office. India is a very patriarchal society and women in general have always been given a raw deal and Bollywood is no exception. Just because you get married or pregnant should not have any consequence on one’s career. But, times are changing and actresses are finally breaking this myth. For eg. Anushka Sharma will be next seen in Shah Rukh Khan starrer ‘Zero’ which is one of the biggest films of this year and has many projects lined up. Priyanka Chopra is now a global superstar and even after her marriage with Nick Jonas, she is not going to give up her career. Marriage is a very private thing and it should be celebrated rather than becoming a death knell for an actresses’ career. Bollywood gets a lot of flak and rightly so for its sexist, misogynist and indifferent attitude towards women in storytelling, scripts and remuneration. The film industry needs to be a level playing field and this change of looking towards married actresses differently should become the norm rather than the exception.